Hi - I love your website! I have been taking different Accounting Courses over the past 3 years and recently started working again (home with kids). 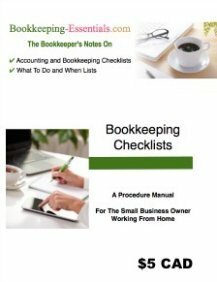 I love bookkeeping but I am still learning. 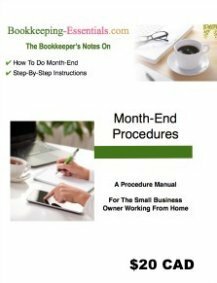 Currently I have taken over books for a very organized small business (easy transition) and was asked by a friend to do his books. He was already using QuickBooks® (updated to 2009 version) so I bought that new version (I had previously used older versions in other employment). Anyway, his books are a real mess! Negative A/R, A/P, never reconciled his bank account in 5 years so it is overstated, never tracked inventory properly, has two COGS accounts (one appears to not be used). Can't imagine that GST is correct, opening balance equity are inventory asset adjustments ... the list goes on. To fix this current company in QB (QuickBooks®) would take many hours and I doubt he has all the receipts anyway. Also, he mixes personal with business (ug! ), has no OE or OW set up. I don't feel that I have the skill or the necessary information to fix this, so I was thinking that it is better to open a new QB company and start fresh - what are your thoughts? Also, he needs to remit GST for last year but with this mess of records he is most likely overpaying! HELP PLEASE! ... and we all know time = money. The good news is ... that's why you have a home business as a bookkeeper! I forgot to also ask ? is there a way to export the vendors and customer lists to import into the new QB company I set up? There sure is ... using the list features of QuickBooks! QuickBooks lets you export/import most lists by simply marking the list you want ... but you must be signed in on the administrator account. Backup both your "old" company and "new" company files before you begin. Importing any kind of data cannot be undone. If something doesn't work, you will be able to try again using the restore feature ... no problem ... rather than trying to fix the import. To backup select File >Save Copy or Backup. Then make sure Backup Copy is selected. Select your backup file options so you know where you are saving it to ... change the location if you don't like the default by clicking on the browse button. If prompted during the backup procedures, select Use This Location ... then Save It Now ... then Next ... then Save. You begin by exporting the lists you want from the "old" company file ... under File >Import/Export >Export. Once you make your selections and click okay, QuickBooks will prompt you to save the export file it created. I would save it to your desktop for easy retrieval. Close out of the "old" company and open the "new" company using the administrator account. Begin importing your lists by selecting File >Import/Export >Import. Follow the directions to import the lists as they occur, selecting the export file you saved to your desktop. Click on the import button when you are ready. QuickBooks will upload the lists to your "new" company. I listed the following instructions from memory so I may have missed some windows or got them in the wrong order. I am fairly certain if you need more information, you look under exporting data in the QuickBooks help index or transferring lists between company files.